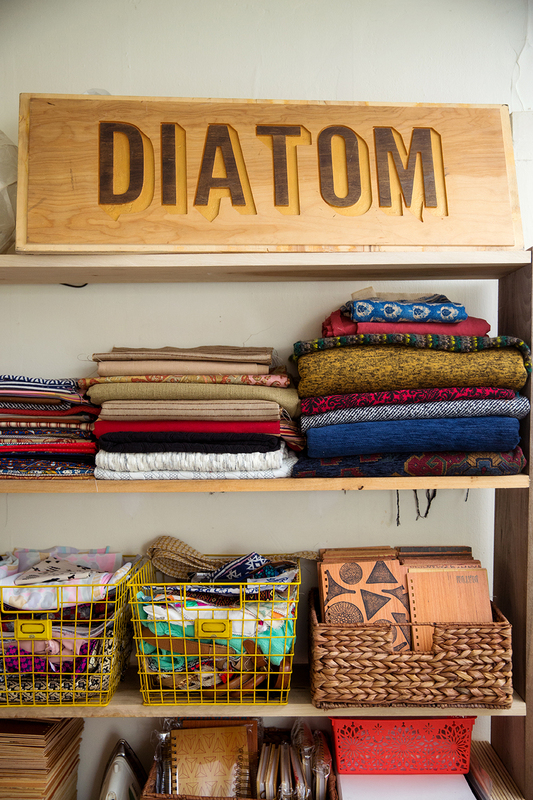 These two words are the core principles of Diatom Design, a local company founded by Diane Leightman and Tom LaPann that produces practical, everyday products with a creative, personalized touch. Pronounced “Dye-a-Tom,” the company’s name is a combination of the two founders’ first names, as well as a reference to a single-celled species of algae that is integral to aquatic ecosystems. 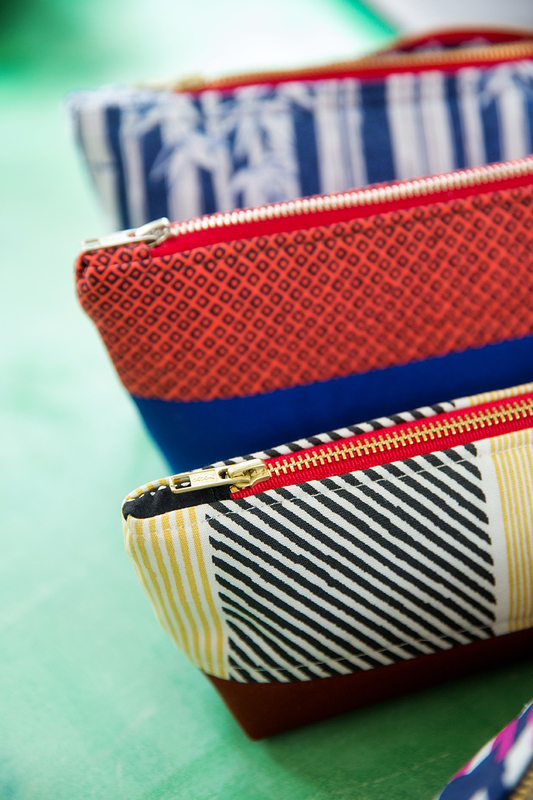 The duo’s studio holds materials to make handbags, pouches, notebooks, planters and more. “[Diatoms] are these building blocks for something that becomes more sophisticated later,” LaPann says. 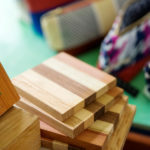 Diatom Design specializes in combining simple, artistic “building blocks” to create stylish, useful items. 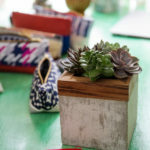 The company offers a variety of handcrafted products, including handbags, notebooks, koozies, planters and candleholders. Prices range from $10 to $30 in an effort to be affordable and accessible to everyone, Leightman says. A south Florida native, she moved to Baton Rouge from Key West for a job in cartography. LaPann, originally from upstate New York, migrated to Baton Rouge to obtain his master’s degree in sculpture at LSU. The pair of Baton Rouge newbies, both in their early 30s, met through a mutual friend in the art world, began dating and eventually started a business together. Leightman, a cartographer, and LaPann, an adjunct sculpture professor at Southeastern Louisiana University, were both searching for a creative outlet and an additional source of income. 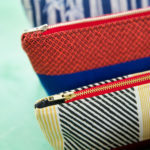 They decided to channel their artistic passions into a business that allowed them to work with their hands. Combining Leightman’s sewing expertise with LaPann’s burgeoning woodworking skills, the creative duo launched Diatom Design in the fall of 2015. 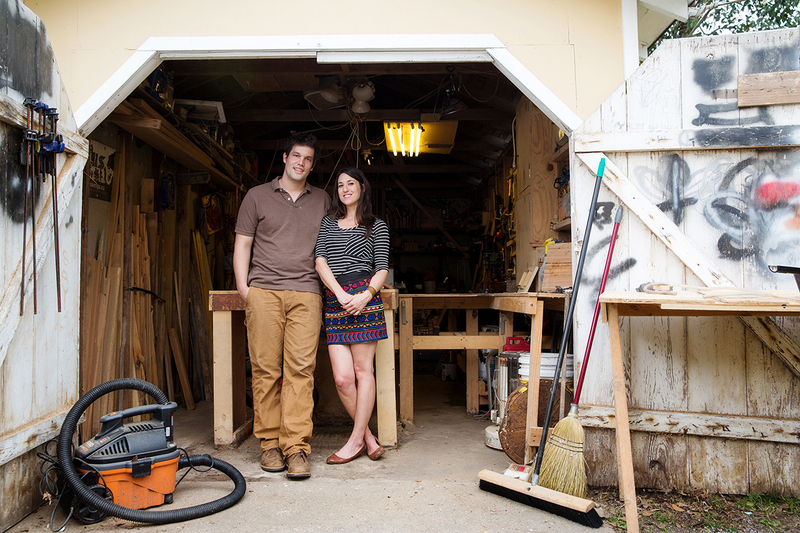 LaPann did not own any woodworking tools prior to launching Diatom Design, but he has since converted the garage in the couple’s Mid City home into a woodshop. 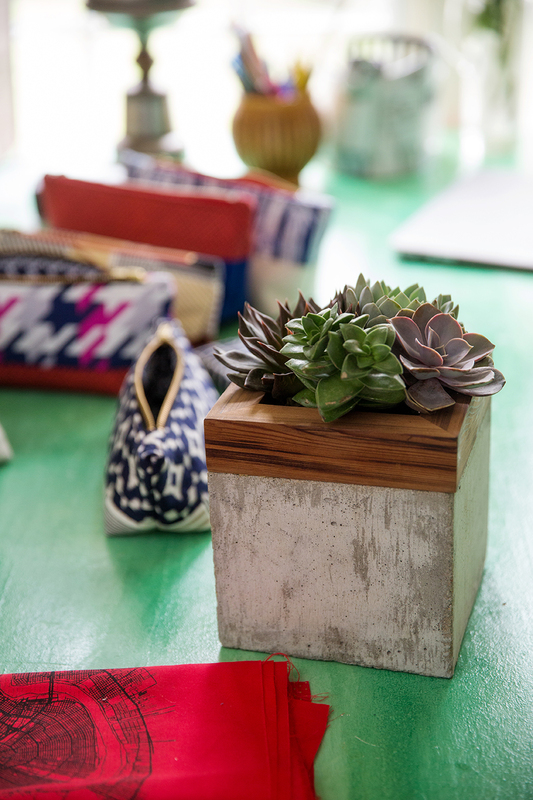 The pair’s creative process is often stimulated by necessity, taking everyday household items and sprucing them up. “It’s kind of inspired from solving problems and making something more aesthetically pleasing,” LaPann says. “Mostly we sit around and think of ideas all the time and write stuff down,” Leightman explains. While Leightman focuses on the sewing, and LaPann the woodworking, the pair often collaborates on their custom-designed notebooks, which they both agree are one of Diatom Design’s signature products. 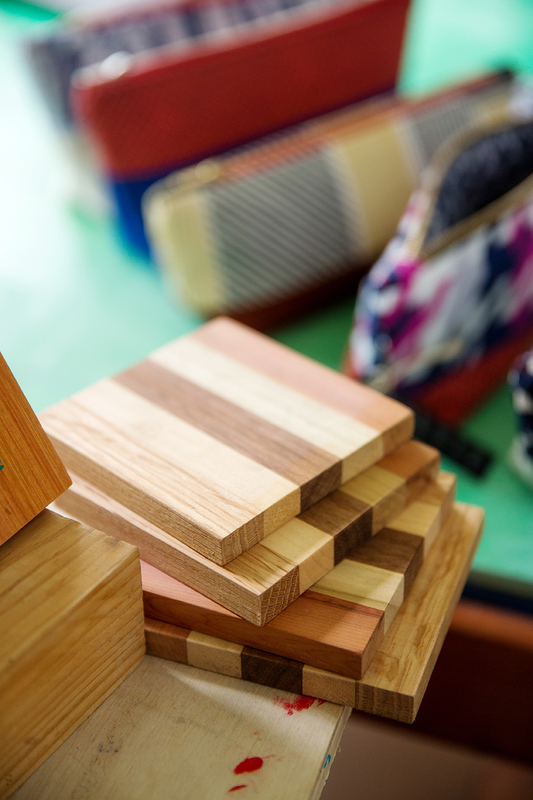 The wooden notebooks feature eye-catching designs on their covers, including Louisiana-inspired themes such as crawfish or a map of New Orleans. The designers pride themselves on using salvaged materials whenever possible. LaPann says it’s not unusual for him to grab cypress boards off the side of the road, and he recently collected a large haul of hardwood from a gutted church. Foregoing the traditional online store format, the Diatom Design duo has marketed their wares through a diligent grassroots campaign, involving trips to weekend arts fairs and markets and pop-up shops around south Louisiana. Instead of large product lines, they have opted for an ever-evolving series of items, including Leightman’s colorful handbags and LaPann’s minimalist-chic candleholders with a wooden top and cement base.